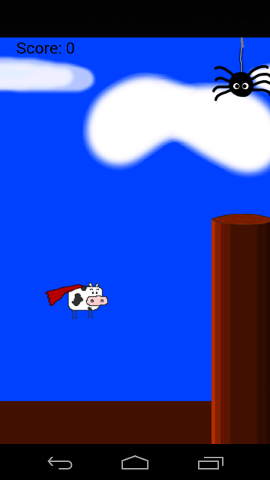 Flappy Cow is an Android game in "Flappy Bird" Style. 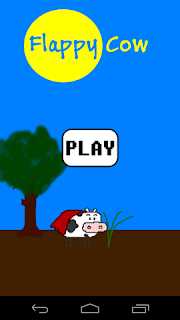 Since Nguyen Ha Dong, the developer of "Flappy Bird", anounced the end of his loved but also hated game I uploaded this Open Source game, so you have an alternative to fulfill your addiction. Make sure to check out Space Cowboy too!